Hybrid cars are increasing in both significance and prevalence. With a mixture of both traditional and modern methods of vehicle power and the capacity to save you money, thanks to high fuel-efficiency ratings, the appeal of these models to people who want a practical, forward-thinking design is clear. But what is a hybrid, and why else are they proving so popular? A hybrid car, as the name suggests, takes two different car powering techniques to craft a highly energy-efficient car. Usually, a hybrid car will run partly on a traditional fuel source such as petrol or diesel as well as a secondary electrical source such as a rechargeable battery. In some cases, you can plug your car into a charging point and fill the battery that way. In others, the two sources are mutually dependent on each other – the energy produced by the combustion engine, for example, may then go on to charge the battery. Usually, a hybrid car relies more on traditional fuel than electrical power. A parallel hybrid, where the electricity contributes mostly to wheel acceleration rather than overall power, works in this way. A mild hybrid operates in a similar fashion, though it still helps to deliver excellent energy efficiency. A series hybrid, though, is much more reliant on the electrical energy – however, these sorts of cars continue to be less common given the high cost of manufacturing and purchasing. Put simply, a plug-in hybrid car is one that can be charged up once it’s plugged into a charging point. 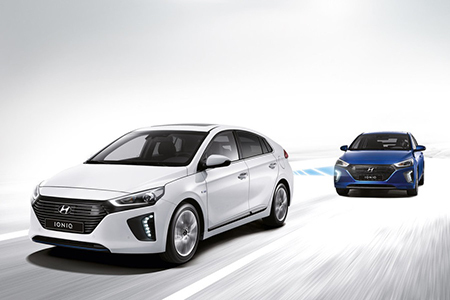 When run properly, it can offer all sorts of benefits: the Hyundai IONIQ Plug-in Hybrid, for example, will run for nearly 36 miles without producing a single emission from its tailpipe. What is a plug-in hybrid car in the context of energy efficiency? A plug-in hybrid is most efficient when mainly used on its electric power. On the occasion when you need to go further afield, you have the back up of a traditional combustion engine. Why is buying a hybrid car a good idea? Buying a hybrid car provides all sorts of benefits. Not only are these vehicles some of the most environmentally friendly on the market today helping to reduce Co2 emissions, but they’re also sleek and modern, giving you wheels that look great and drive smoothly. 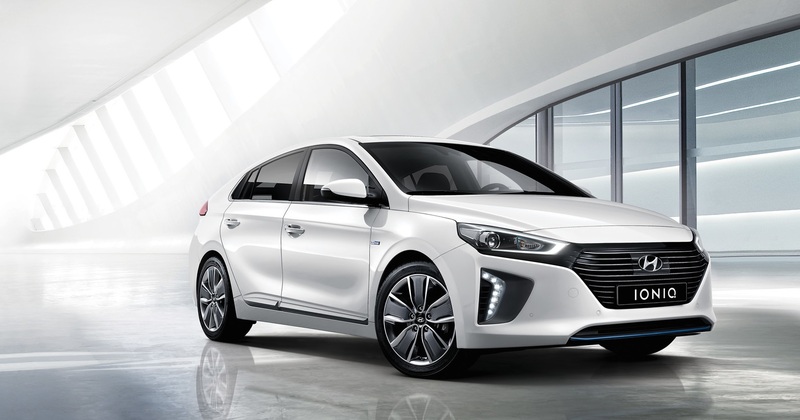 The Hyundai IONIQ also provides quiet driving, excellent MPG and low tax. However, the major benefit of buying a hybrid car, of course, is the potential for fuel savings that you’re likely to make. Given that they’re capable of managing two energy sources it’s often more than possible to have very low fuel consumption and stretch it far – especially if you invest in a model with a low tailpipe emission rating. Benefiting both your wallet and the environment is a simple task when driving a hybrid car.